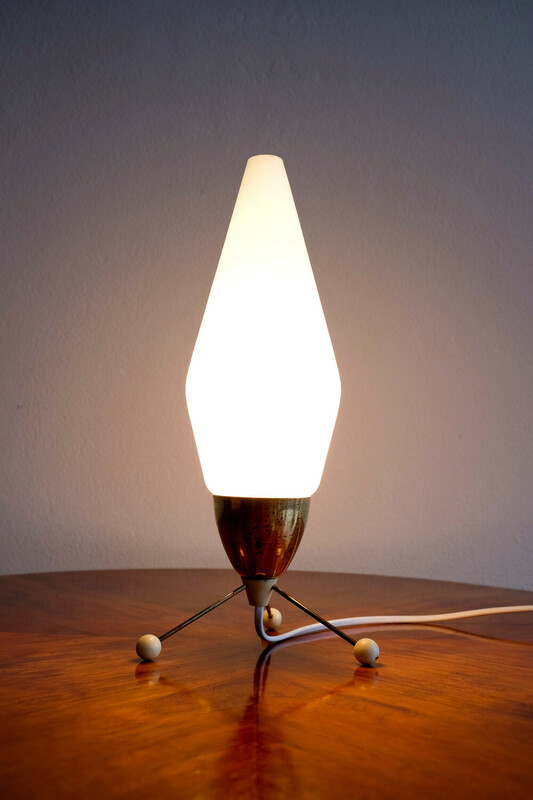 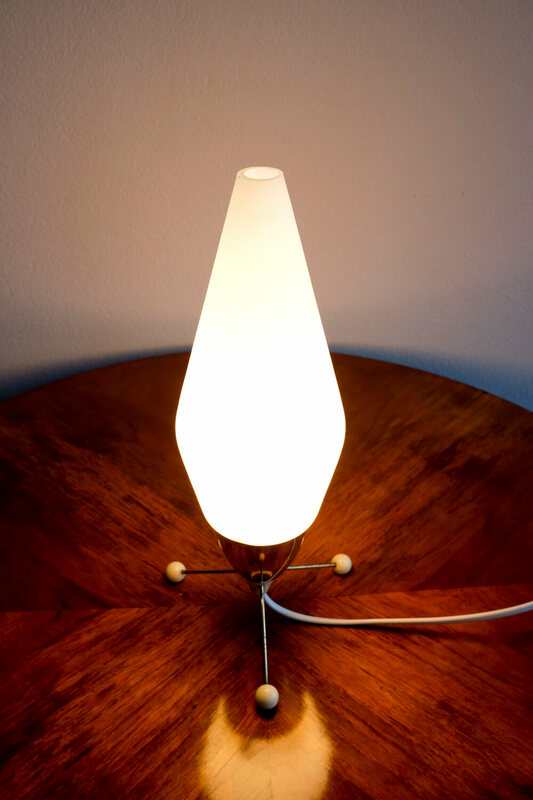 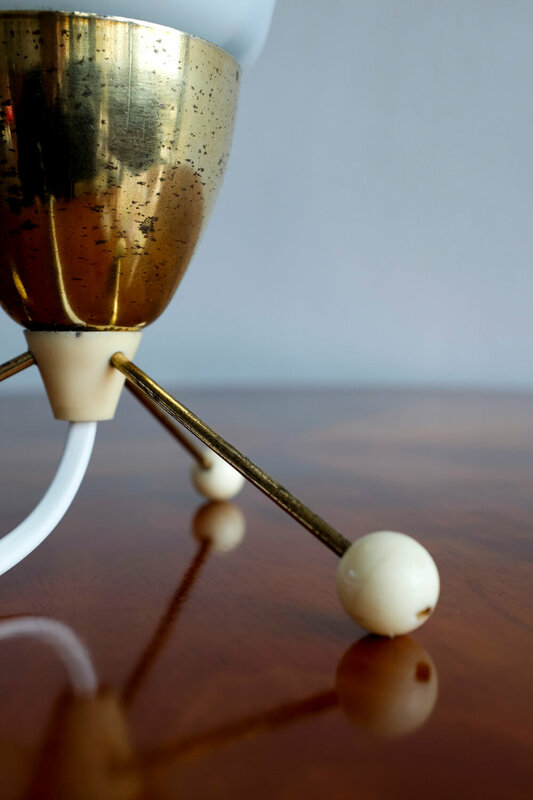 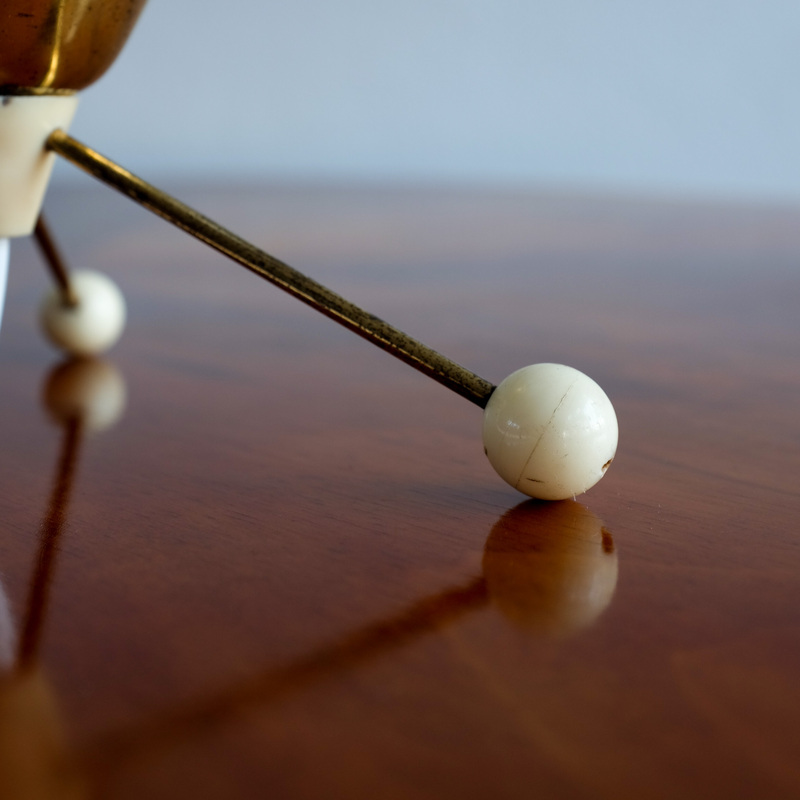 Vintage table lamp designed by Czech designer Stanislav Kučera in the 60s for Lustry Kamenický Šenov (formerly Christoph Palme, Steinschönau). 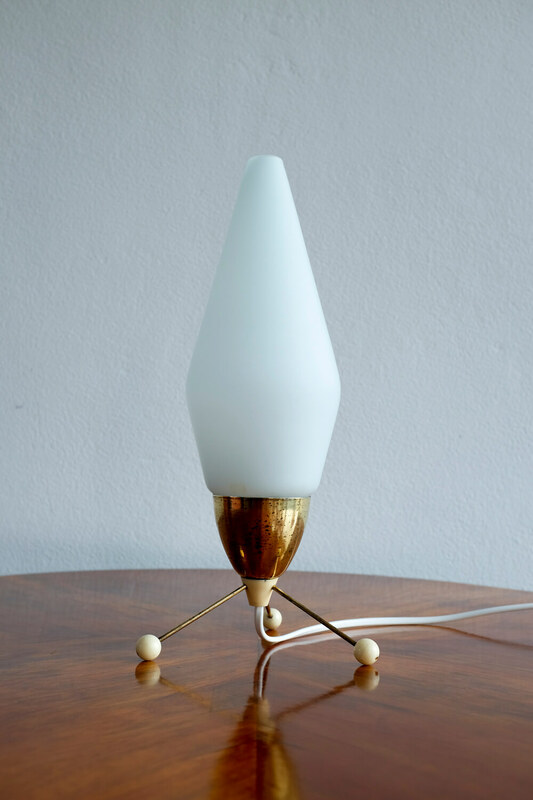 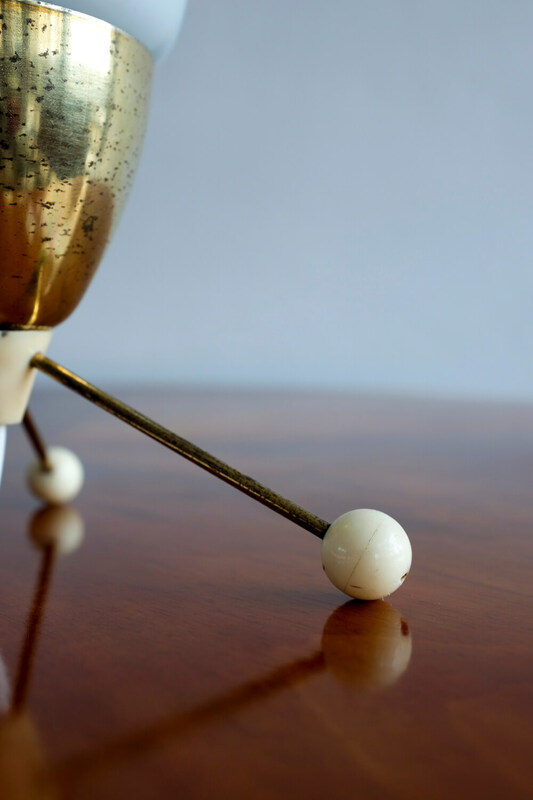 Brass base on three legs with plastic balls on the ends and with opaline glass shade, fitted with one E14 socket. 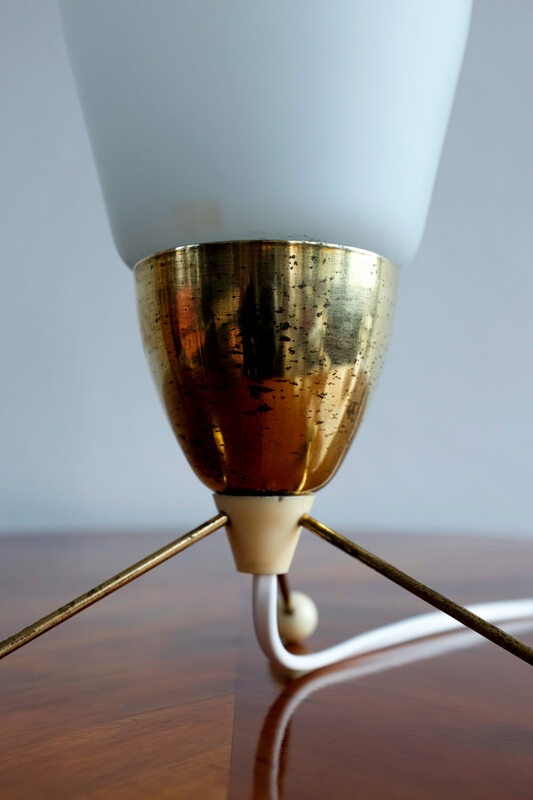 It was rewired, in very good vintage condition.